Do not set up your campsite, without checking in. Please cooperate with parking attendants. We provide rough camping only. Hydro, Water or Sewer hook-ups are not available. 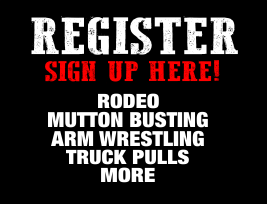 You MUST have a 3 day or a 1 day wristband to camp and access the campground. Children 5 and under are free with the purchase of one adult ticket. Make sure to read all the rules and regulations of the festival prior to your arrival to ensure the safety of yourself and others while having one of the best times possible. 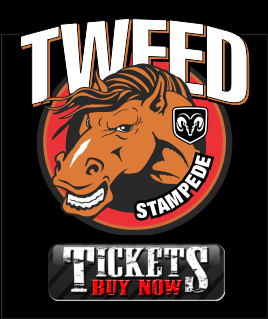 The Tweed Stampede is a privately owned company. We do not discriminate, but reserve the right to refuse service and admittance to any person if actions are deemed malicious inappropriate and or abusive towards staff and other patrons. We will not and cannot verify a third party sale of a ticket. Buyer beware on all sales when it is not from an authorized ticket seller. We encourage you when purchasing a ticket to purchase it from an authorized ticket seller. •Campfires are NOT allowed do to FIRE BAN! Barbeques and open grills are allowed. •No glass and no glass bottles. •ATV's or scooters are not allowed onsite. •No cruising in campground in vehicles. 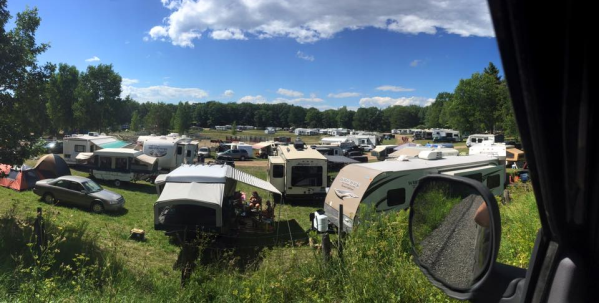 •Non approved vendors are not allowed in campground area. •Generators are allowed, in the event of noise, you may be asked to turn generator off. •No loud music after 12:00 am. •We are not responsible for lost or stolen articles. Please lock up your valuables. •Please respect your neighbour and their property. Failure to comply could find you evicted, without a refund! Please help keep the campsite area clean and clean your campsite when leaving. We want everyone have a great time, and we hope to see you again for years to come! If you are camping you will need to reserve a camping site. Site size is 20 X 40 or a minimum of 800sqft. Limit 6 Person's per site. Vehicle Parking is only guaranteed on your site. This is to ensure you and your guests do have a legitimate campsite as space is limited. Save you time and gas money traveling to mark/rope off a site. To ensure accountability of the campsite. That means no mess, no rule breaking and respect your neighbours. Remember, the site is in your name! We will contact you with your site number after purchase.